Taj Mahal took off like crazy this fall. She must have appreciated the cooler temperatures! Thinking back, she was the first to bloom in the summer as well. These pictures are from December 1, 2008. Cleopatra is a chimera. 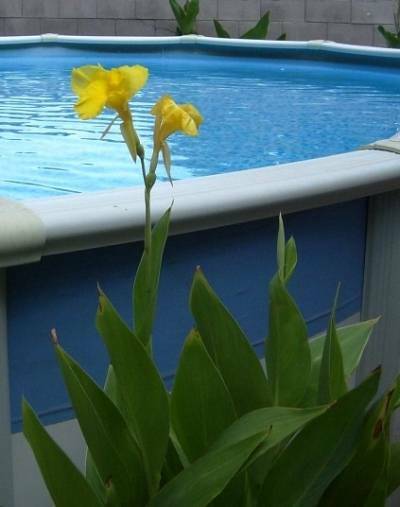 This is a genetic condition that causes the plant to have variable flowers and foliage. 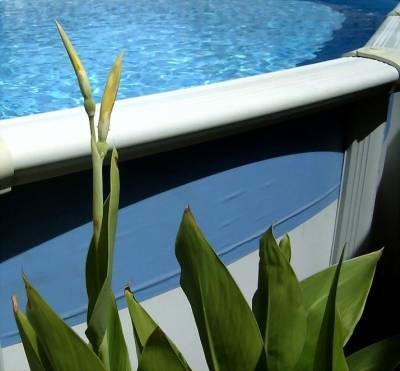 Stalks with all green leaves produce yellow flowers with red dots. 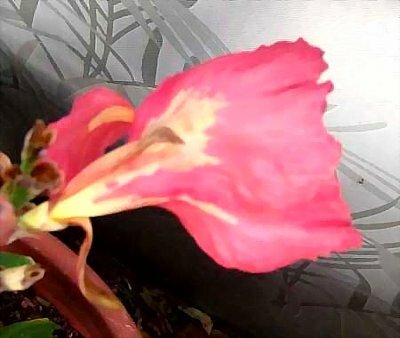 If the leaves have purple streaks, then the flowers will have more red in them. Look at the buds. 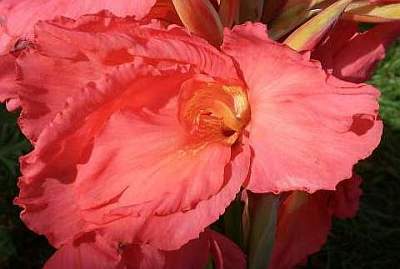 Usually the yellow buds produce mostly yellow flowers and the red buds produce mostly red flowers. 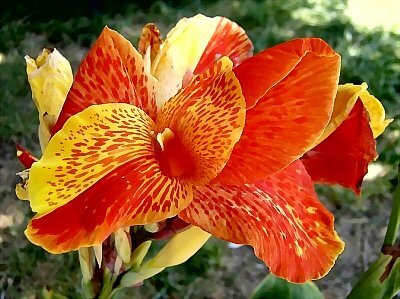 Every flower can be different, even on the same stalk. 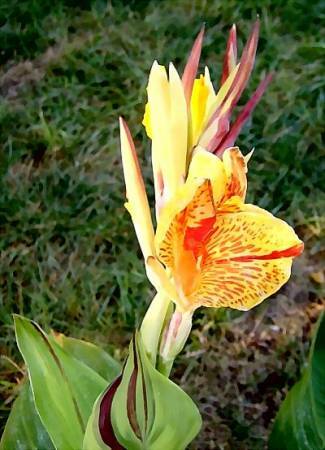 Canna 'Cleopatra' continues to amaze. Each flower on Cleopatra can be different. 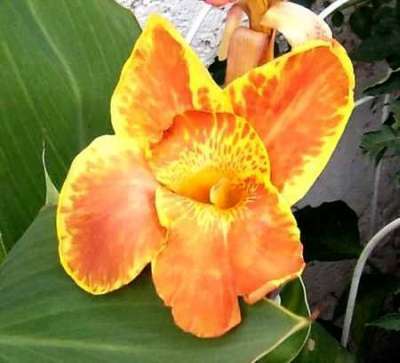 Cattleya is an heirloom canna with a large open flower of yellow, red, and orange. 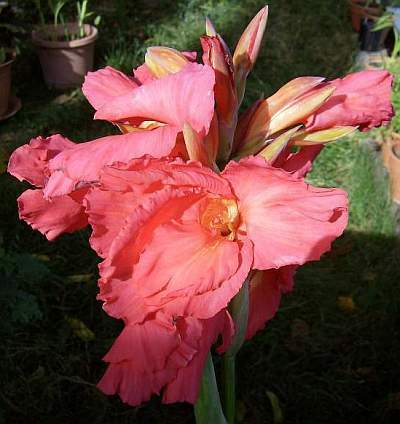 'Taj Mahal' has lovely pink flowers with yellow dots in the throat. 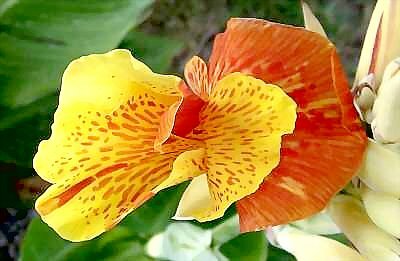 Canna 'Taj Mahal' is a simply beautiful canna. 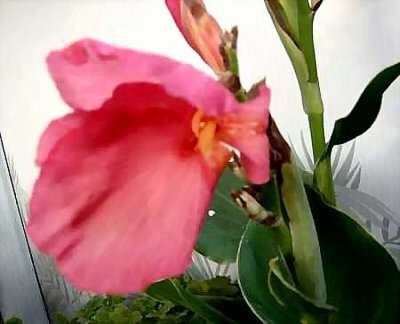 This is my first time to see this canna bloom. I got it kind of late last summer. The leaves are shiney medium green. 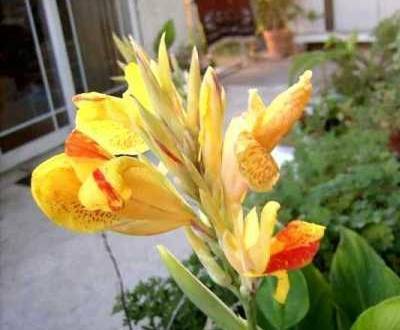 Taj Mahal is supposed to be a medium-height canna, but started blooming when only about 2 feet tall. Right now I am growing this one in a pot. Too much direct Las Vegas sun scorches the white spot and turns it brown. I'm moving it around trying to find the optimal location. 'Taj Mahal' also has a large white or cream blotch on the back of each petal.